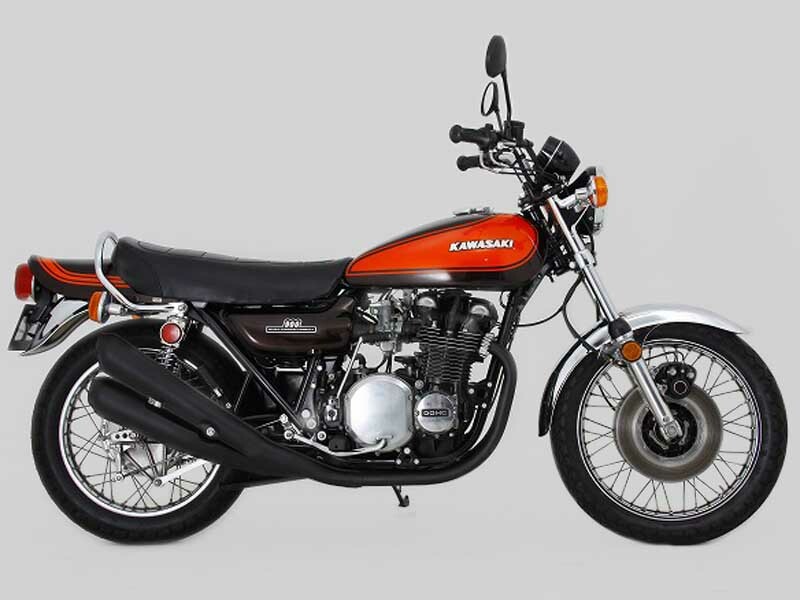 This special motorcycle was developed based on ”Kawasaki Z1 (’72 Z900) Yoshimura model” which was fighting for the AMA Superbike Championship. 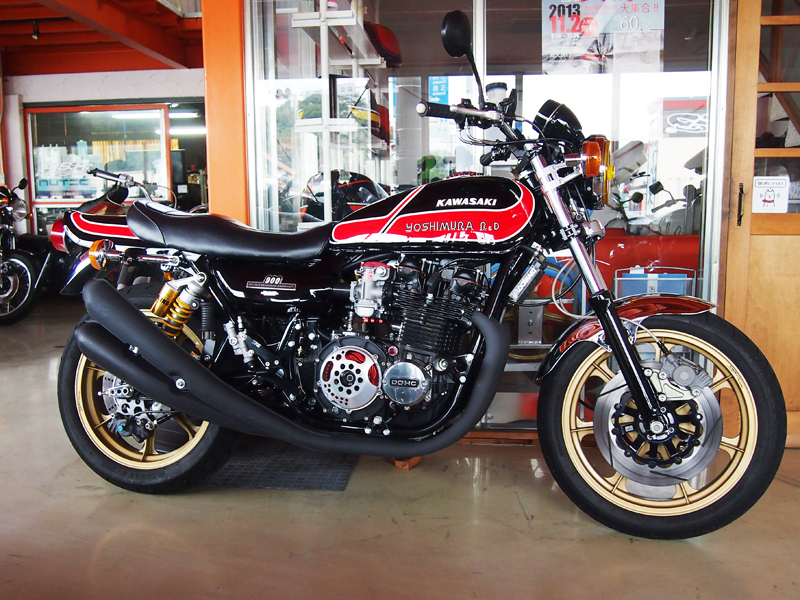 She has a 4-4 exhaust system which we produced in collaboration with Yoshimura Japan., This motorcycle has the same style to Wes Cooley model, the one was outstanding with its ominating speed. 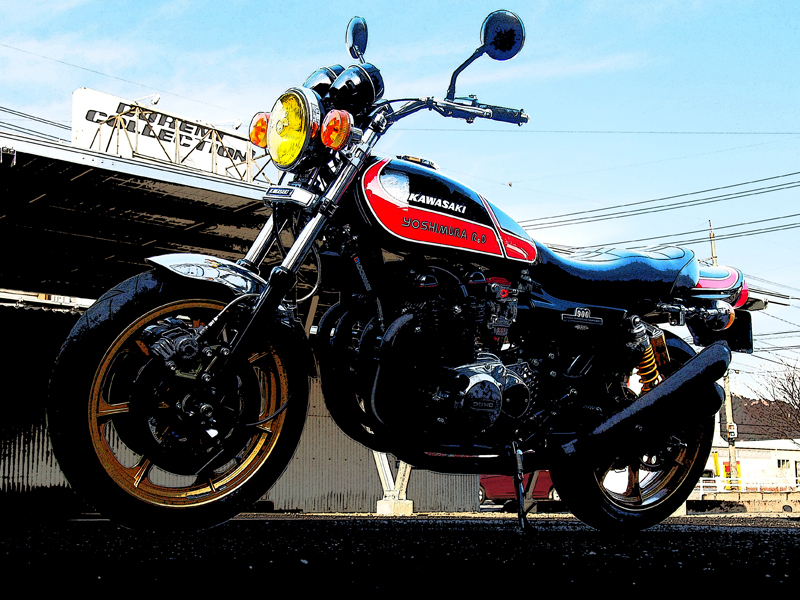 She also has CR-MJN (Multiple Jet Nozzle) carburetors uniquely produced by Yoshimura Japan without unbalancing Z1’s engine appearance. 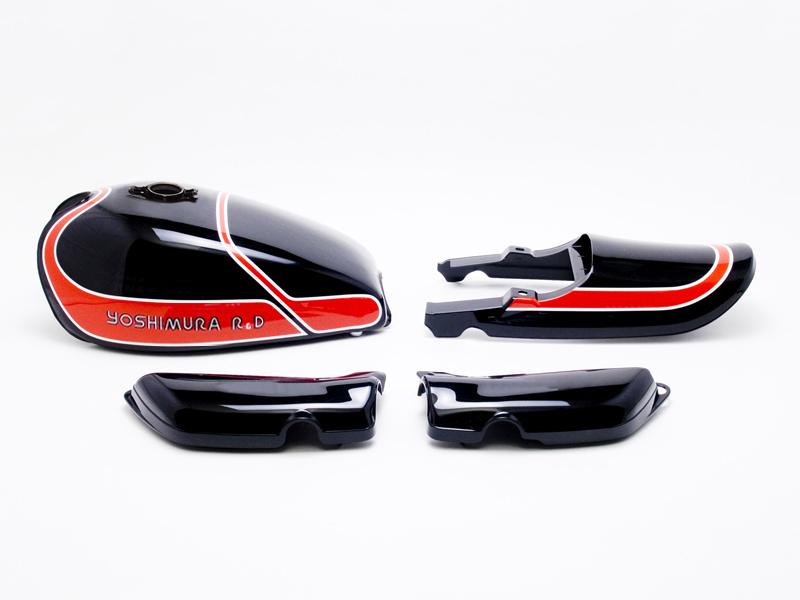 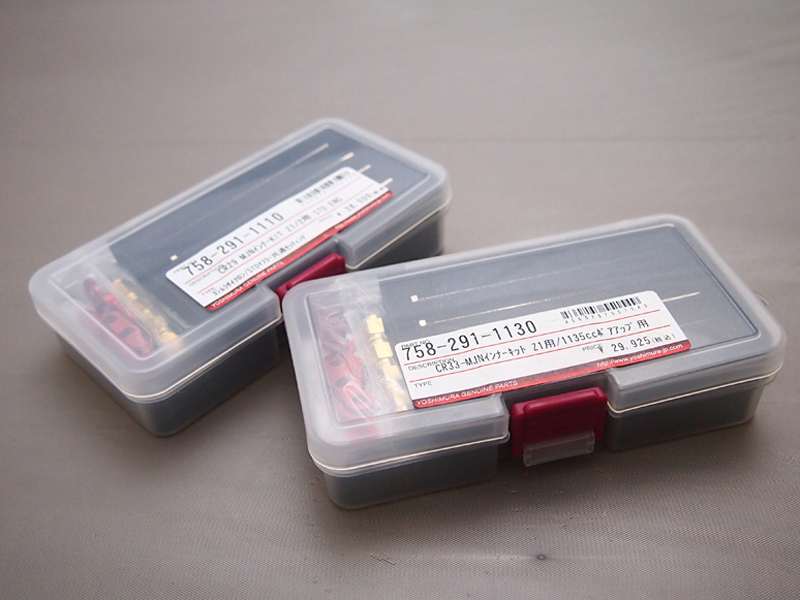 There are many other collaborated parts, such as exterior set with Yoshimura color. 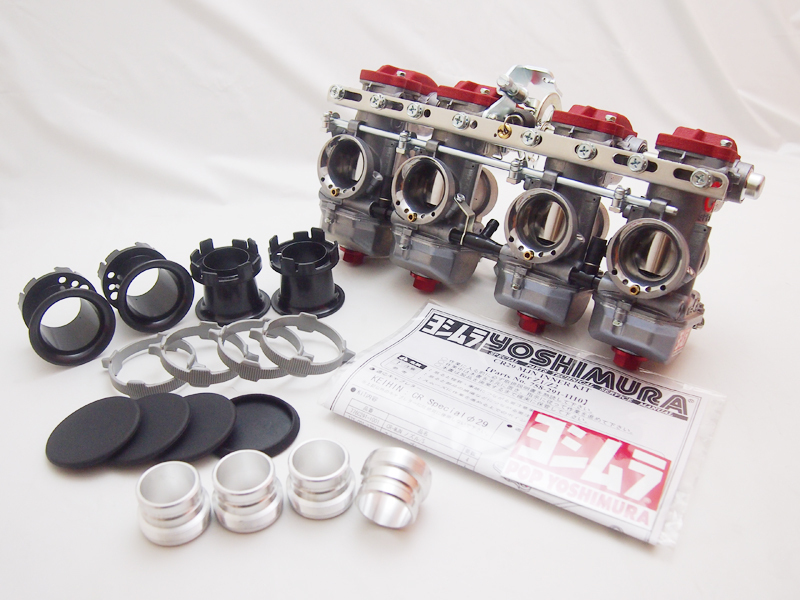 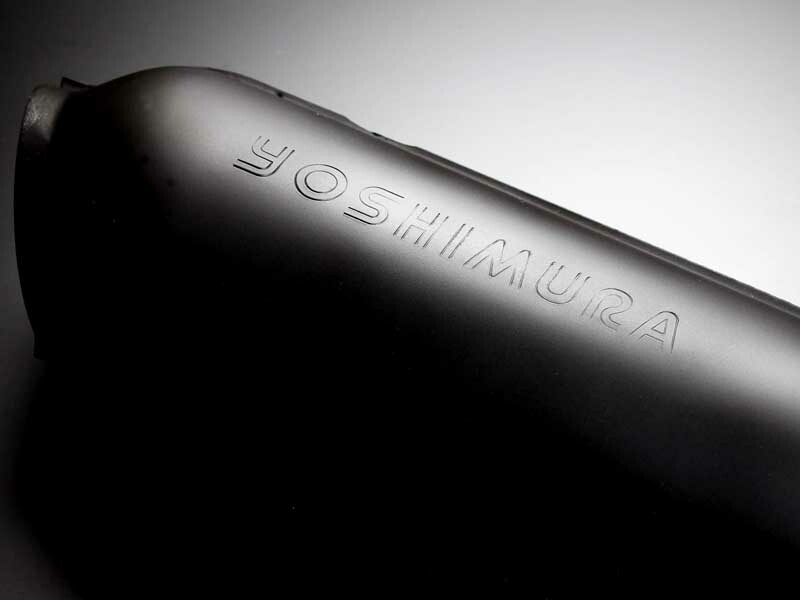 Yoshimura fans will be amazed by our special products.